Next week we start a very nice project in Stockholm (Sweden) at Boskalis. It concerns 2 x 430 m new construction crane track type A120, on continuous plate cement-based grouting mortars. The work is carried out in cooperation with Stabirail. 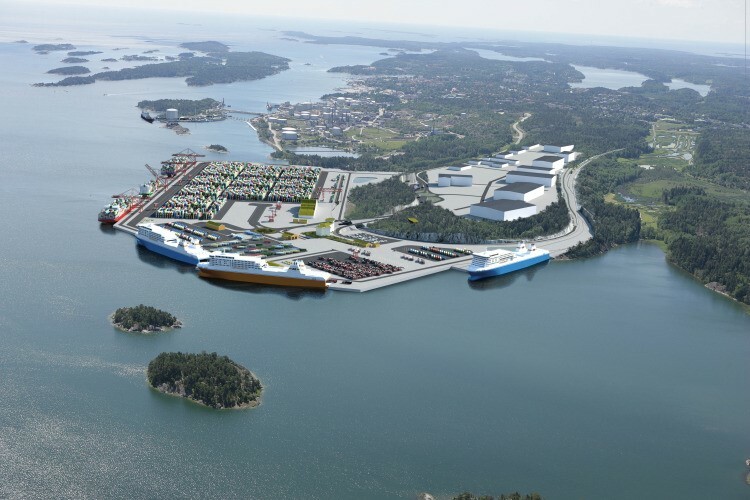 Unloading cranes that will drive over the Bemo crane tracks will contribute to supplying Stockholm in particular. A city that grows annually with 45,000 people. A project to be proud of! Also at C.RO the trains have to be pulled in and the locomotives will travel to the track via the Bemo Traverse. Because the exchange street at the end of the railway tracks has been removed, this saves a lot of space, but also high costs for the construction and maintenance of the exchange street. The traverse serves 4 set-up tracks and 1 bypass track. The traverse is equipped with all essential safety features and the train drivers can use this and a semi automatic operation to operate the crossbar easily. 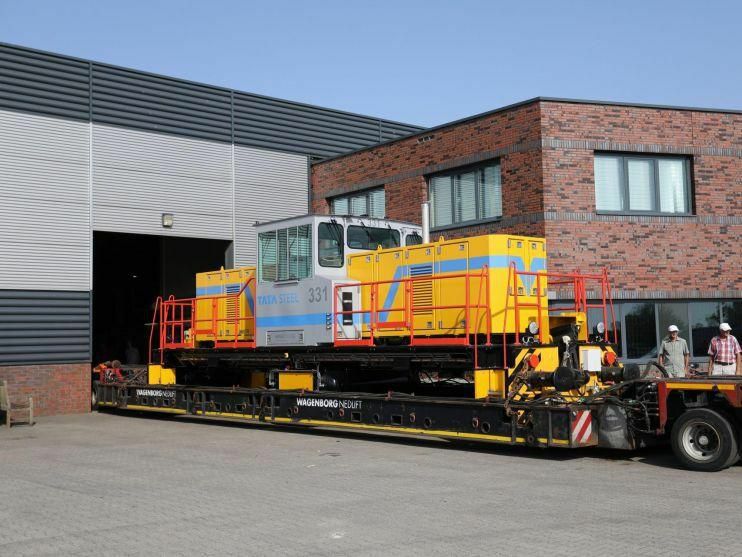 Recently our KRE15RCRV was delivered to GVB HWR in Diemen (Amsterdam). This vehicle can run both on the track and on the road. 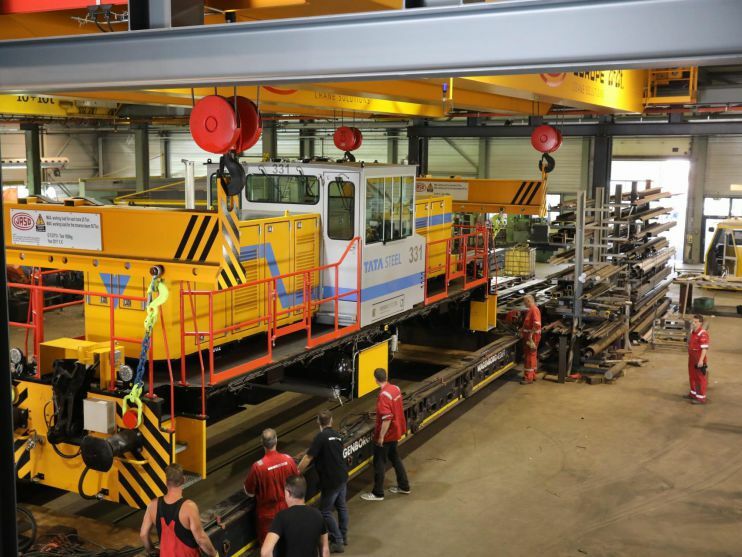 The capacity is explained in such a way that the trams and metro trains can enter the workshop in Diemen via the existing traverse. The great advantage is that the KRE15RCRV is powered by batteries and therefore does not emit exhaust emissions, which of course offers a great advantage in the workshop. In addition, the ease of use is also great, because use is made of a radio remote control. The KRE15RCRV is equipped with various types of adapters so that various types of equipment can be linked. In the meantime, most mechanics have also been instructed at GVB so that the unit can be used safely. Last week, Bemo Rail was present with a stand and a locomotive at InnoTrans in Berlin. We proudly showed our shunting locomotive BRDE-80. Through this way we want to thank everyone for the interest and the visit of our stand. It was a big success! In week 36, the BRDE-80 shunting locomotive had several test drives at Museumstoomtram Hoorn – Medemblik. After this the locomotive was transported to the InnoTrans in Berlin, to be shown to the general public on behalf of Bemo Rail. And with success! Tuesday morning 7 August is the day: the biggest transport from the history of Bemo Rail is a fact! The spectacle attracts dozens of interested people. 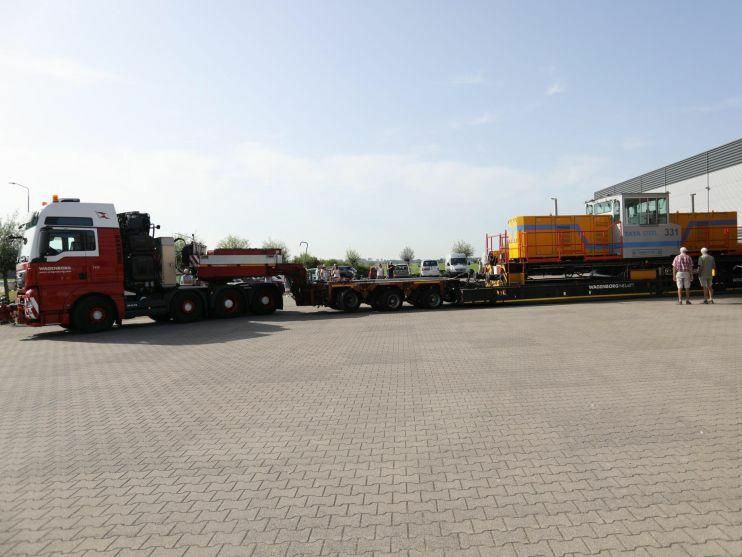 They are present on Tuesday morning to see how shunting locomotive ‘Tata Steel 331’ at Bemo Rail is being lifted on a 36-meter long low loader trailer, to take a complicated route to Tata Steel IJmuiden. At 10.25 am the elaborately prepared convoy leaves with two drivers and five road attendants from the factory site at the Debbemeerweg to leave Warmenhuizen via the east. Without any problems, the convoy finally arrives at Tata Steel. After a successful construction and successful delivery in Europoort, the new Bemo BRD130 for OCI Europoort has recently been delivered. The locomotive will take care of the shunting work for both its own OCI work and also for the ETT terminal, which uses the same access tracks. Thanks to the adjustable crawling speed, OCI makes it possible to weigh the wagons on the weighbridge while driving. Furthermore, the locomotive is also equipped with Tag readers that prevents unauthorized operation. And the locomotive is just like the new Bemo locomotive at Yara in the beautiful orange-gray color combination. The locomotive again has the characteristic good accessibility for operators, maintenance engineers and the addition of fuel. The locomotive is being let to OCI for 10 years, including maintenance and is therefore added to our current rental fleet.